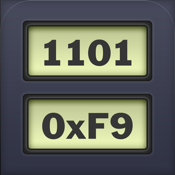 Base2Base Converter is a simple yet useful app that converts numbers and binary codes in different bases. It uses an easy and intuitive design to navigate and convert between bases. Great for Programmers, Mathematicians or Engineering/Computer Science Students.